He went on to build out that vision with a little startup called Google. This approach has worked for 13 years, giving us a virtual advantage. 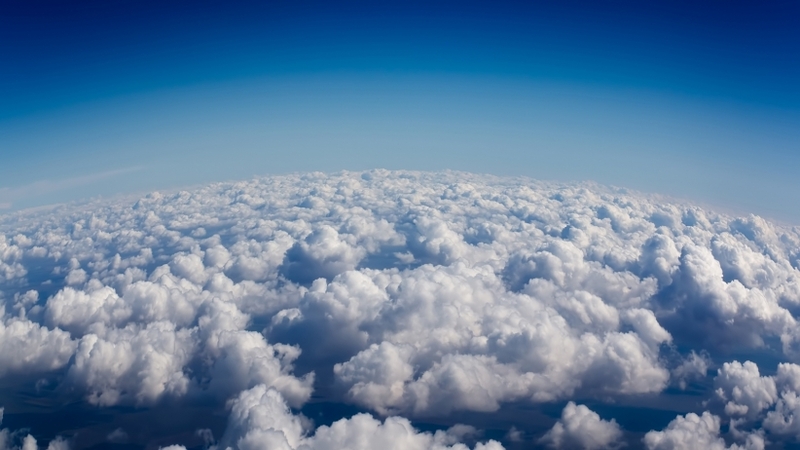 Fast-forward to 2016, and the online cloud is now an integral part of that advantage. Why is cloud computing good business? In an Executive Summary to a recent report, Files Anywhere described some interesting, related research. That research found that 37 percent of IT professionals recently surveyed admitted feeling pressured to transition their company's operations from a traditional capital-intensive physical model to an expense-based cloud model. No surprise there: Businesses are looking to cut overhead costs as much as possible, so they're looking to the cloud to accomplish this. Making that same switch could save you money too. Make a direct impact on expenses with the cloud. Moving to the cloud is not as mysterious as it once was. What was formerly considered to be faddish, trendy technology is now an industry pacesetter. New models involve tiered pricing and boutique offerings. The two features work in tandem to help clients create a custom cloud experience that suits their business needs. This makes an immediate impact on expenses. For starters, cloud-based models have a direct impact on the amount of capital that has to be spent on physical equipment. The cost of data servers, IT infrastructure and the electricity needed to operate them is pretty much a non-issue. And the money saved can be funneled into other areas where it makes more sense. This is only the first of several ways a cloud model can help with operating expenses. How the cloud impacts intangible expenses. Chances are, you will not require a full IT staff once you migrate services over to the cloud. How much could you save by having one or two part-time IT employees versus a full staffed department of five or six? Maybe some employees could work from home? This would free up office space and save money on utilities, as well. There are all sorts of indirect savings associated with moving to the cloud. Paper expenses, filing storage and time gained in efficiency are just a few. Storing documents online requires less time for an individual to physically file the document, make copies of it, find it when it is needed, etc. You have given your employee time back by his or her move to the cloud. This will make your business more efficient, allowing employees to give their full attention to the task at hand. The cloud was one of the ways how Napa Valley wine company Soutirage started killing the competition. Its entire business model is cloud-based, allowing the company to grow rapidly by maintaining a laser focus. Soutirage has a handful of employees and operates above a drugstore in St. Helena, Montana. Managing partner Chadwick Meyer says, “We are singularly focused on a small number of clients who buy a large amount of wine.” The cloud, Meyer points out, lets the staff focus on those individuals because it gives them the ability to offer their product at much cheaper rates than traditional brick and mortar stores. Cloud-based models make a lot of sense when you're a small business owner. You save money directly, by not having to make capital purchases for equipment, and indirectly, through cuts on spending for staffing. The cloud makes your business more efficient and greases its gears of productivity. Boutique packages allow you to create an end product that is scalable and specific to your needs. Perhaps the time is right for you, too, to consider making the switch.